This last month, I borrowed an incredibly valuable monograph on the Spanish painter Joaquin Sorolla (1863 - 1923) from a good artist-friend. I personally consider Sorolla to be the greatest oil painter of the 19th and 20th century, an artist who even surpassed Sargent and Zorn in every respect – and this is no small claim for anyone to make, let alone an unknown like me. Not widely recognized in our time, Sorolla is now being reassessed and elevated back into his proper place within the pantheon of Western European Art. Sorolla was able to paint a picture that literally appeared to emit light. Maybe this sounds simple, like showing the sun in your painting, but it is not. There is a well-received maxim tossed around us landscape painters, and it is that we can never paint the light we actually can see. Our paint won't allow it. We can only paint the effect of the light we see. But Sorolla was the sole exception to this rule. Everyone's first impulse upon viewing a painting by him is to raise their hand to block the sun from their eyes. The effect is that strong and it doesn't matter if we look at a reproduction or at an original -- our reaction is universal. Towards the end of the book, I came across a passage about the brain stroke that took away his ability to paint. 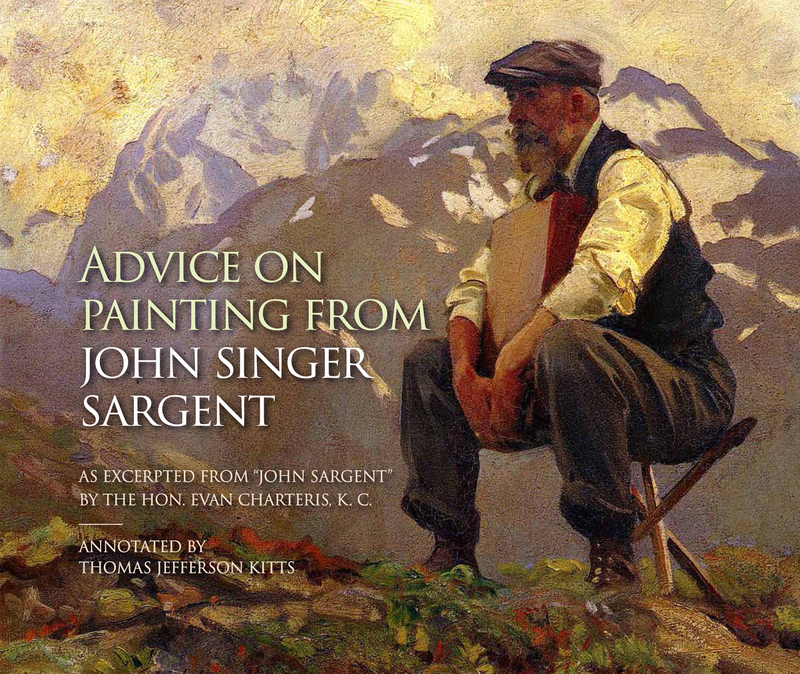 Attempting to become a great painter requires playing the long game. It takes time, and to become truly exceptional it takes a lifetime. So how an artist ends up in their final years remains a fascination for me. Sorolla never recovered from that stroke, even though he lived another three years without producing any more paintings. "A fine, warm morning in the month of June, in his garden, Sorolla was painting the portrait of my wife, and I was observing him from her side. The three of us were alone, under a branch-covered arbor. He got up and headed for his studio. Going up the steps, he fell. My wife and I went to his aid, thinking that he had stumbled. We helped him up, but he could not stand on his own. The left side of his face was contracted in a motionless gesture, a childlike and regretful gesture that inspired pain, pity, tenderness. We understood the dramatic truth; the extremely tight string had broken. Even so, and ever the rebel against the fatality that had already taken hold of his hand of iron, Sorolla wanted to go on painting. We tried to dissuade him, but in vain. He was obstinate and irritated, like a spoilt child whom someone, to his amazement, had contradicted. His palette was falling from his left hand; his right hand, with his brush badly held, was scarcely obeying him. He made four long and vacillating, desperate brushstrokes; four speechless screams, already from the threshold of another life. Pathetic, unforgettable brushstrokes! ‘I can’t go on’, he murmured, with tears in his eyes. He withdrew into himself, as if he were absorbed in the residue of the light of his intelligence, suddenly almost extinguished, by an absurd, invisible gust of wind, and he said: ‘So there’s one more imbecile, what does it matter to the world?’." Here is the painting Sorolla was working on when he suffered the stroke. I can't find those vacillating strokes Ayala speaks of. Can you? What resonates with me most about this story is how Sorolla attempted to return back to the painting, even as he was experiencing the stroke. That is passion. I am also amazed at his own acceptance of his fate. 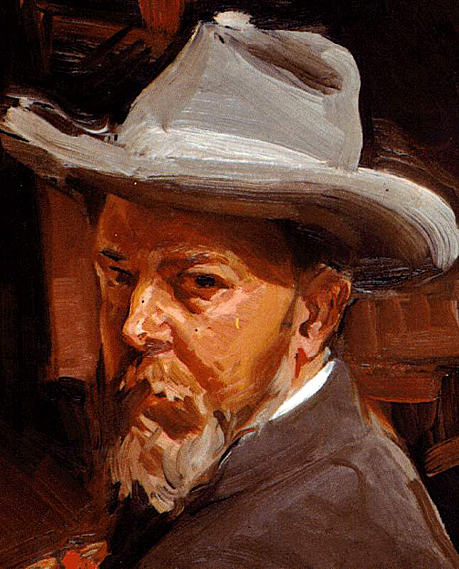 Many thanks for a very interesting post about Sorolla's final years. Like you I consider Sorolla to be possibly the finest painter of his time and you might be interested in a web site I have set up at www.sorollapaintings.com which includes some direct quotes (obviously translated) from the Master. 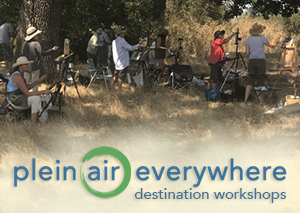 I very much like your own paintings and am determined to do more plein air work myself - you will see from my recent blog posts that it is something taht is occupying my interest quite a bit at the moment. a friend of mine (and an artist) recently suffered a stroke. I am so hopeful that she will be able to return to painting! This was interesting..thanks for posting it. Sorolla has also been one of my absolute favorites since I first discovered his work about 15 years ago. His sense of color mixed with light and movement is astounding.Maybe the renewed interest in his work will put more books of his work on the market. 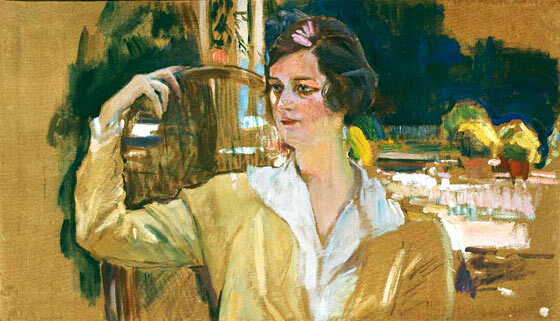 Last October I got to spend time with 10 or 12 paintings by Sorolla in a Spanish survey exhibit down in San Diego. He made everyone else in the show look like a distant second, and there was a couple of el Grecos in it with him. (But no Velasquez.) Paintings that ranged from a few small intimate canvases (for JSB) to some of preparatory but monumental fishing boat/oxen paintings. Even his oil sketches made me weep. Great post Thomas, It's a revelation of sadness to know how fate shriveled sorolla his last days of painting. What a fantastic artist. Boy, we can learn a lot from him. It's sad but let's remember how much of his life was spent painting too. HE had a bed in his studio that he often slept in so he could immediately jump up in the morning and grab his brushes. and get to work. Still waiting for a show to e mounted in North America. I'm confident it is in the works but have not intel on it right now. I am in agreement with your assessment of Sorolla as the greatest painter of the 19th and 20th centuries. In truth, it isn't fair for me to make such grandiose statements, but that's how I feel. In 6 weeks I'll be standing in Sorolla's studio looking at all his tools and set up, hopefully just as he was using them before he dropped. I hope to learn a lot from the experience. I made a pilgrimage to his house/museum in Dec. 2011, it was an extraordinary experience. I took pictures of almost every painting there!! And the grounds and his paintboxes and couches and family portraits and etc. etc. Oh my heavens, what an outstanding painter he was.